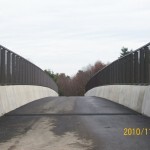 The DCR Access Road Bridge is a functionally unique bridge in that it links the popular “Blue Hills Reservation” recreation area with the nearby city of Randolph. 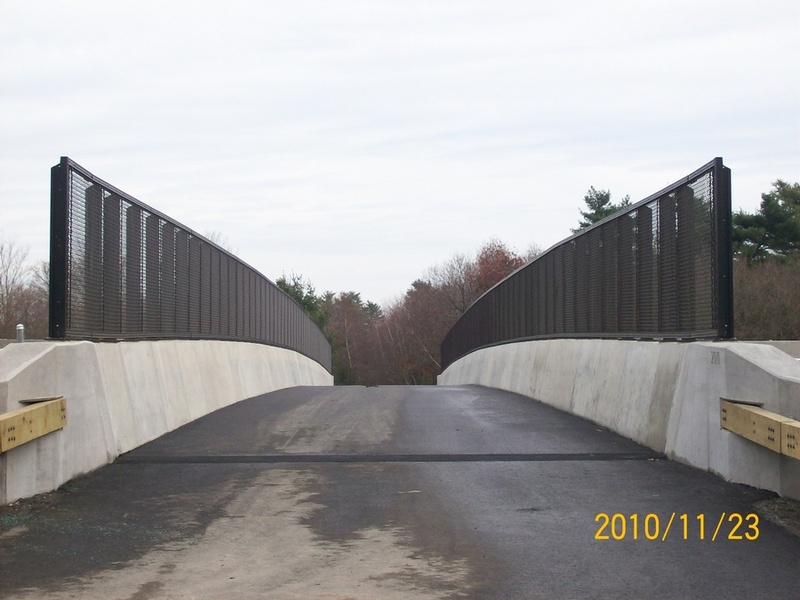 While the bridge was built to provide critical access across State Route 24, it also serves as an important link to miles of hiking and equestrian trails. 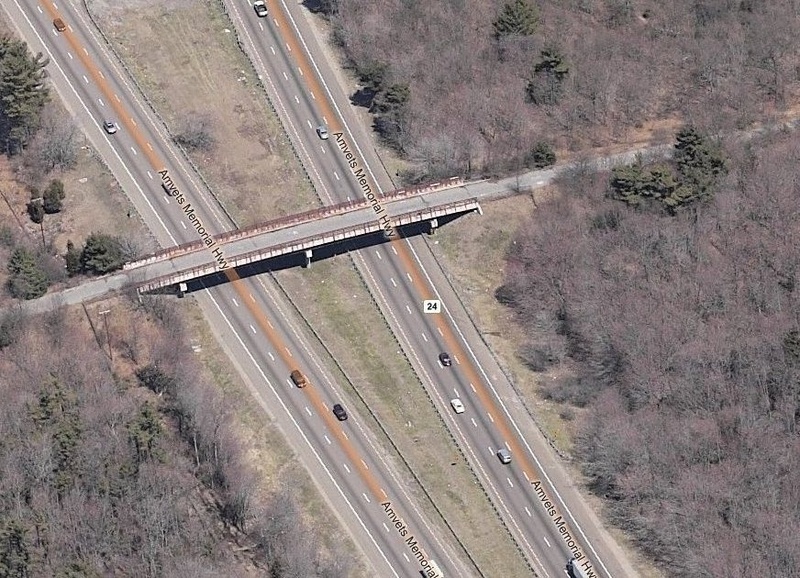 An existing steel bridge provided access over a busy highway and had served in that capacity since 1958; however, the bridge was both functionally obsolete due to inadequate clearance and thus increasingly difficult to maintain. 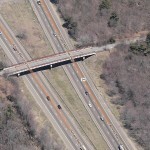 The 4-span, steel girder structure, commonly referred to as the “Horse Bridge”, was replaced with a 2-span, segmental “Channel Bridge”. 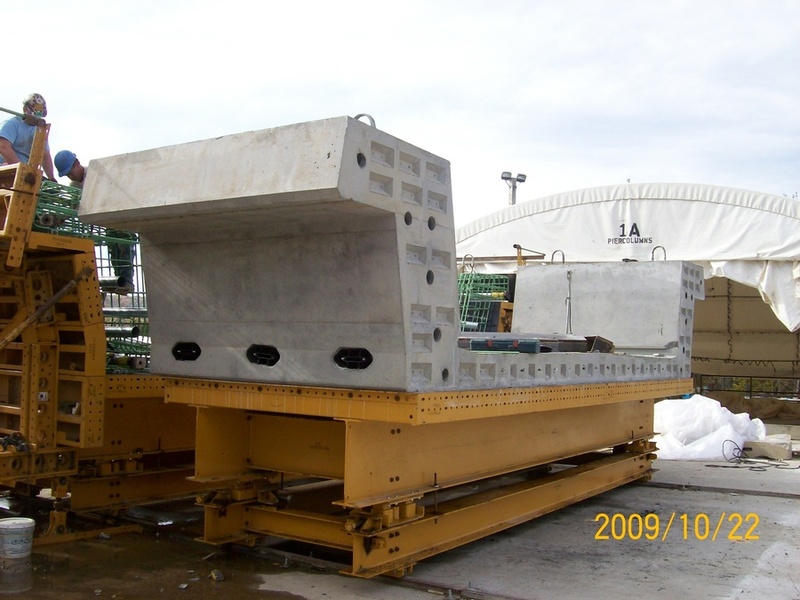 The replacement bridge has a length of 248′, a width of 29′- 8″, and a total depth (including barriers) of only 5′-4″. 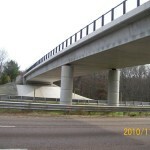 The low profile of the bridge increases the vertical clearance over the heavily-traveled Route 24 from 14′-3″ to 16′-9″ without altering the approach grade. 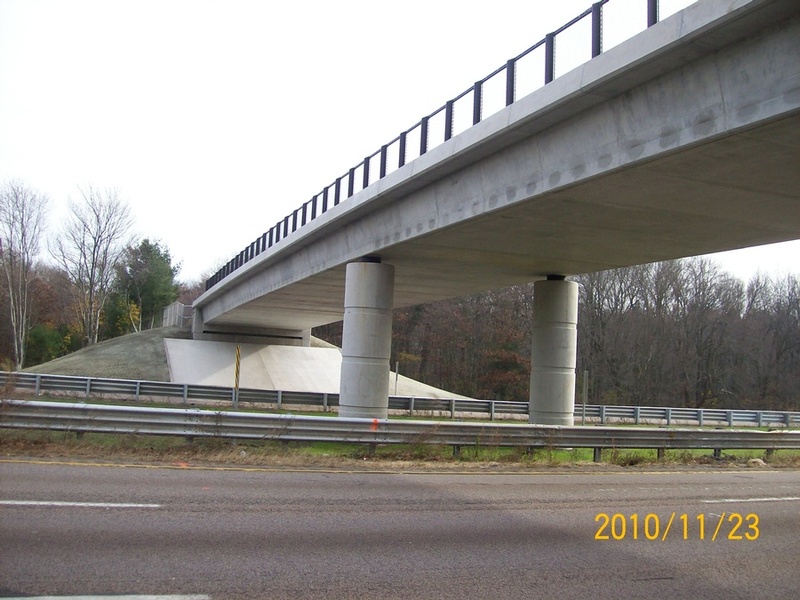 Side piers of the original structure have been eliminated, increasing safety for drivers on Route 24. 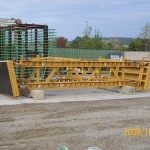 The shallow depth of the DCR Bridge is achieved by using edge beams, located above the deck surface that function as both main supporting members as well as bridge barriers. 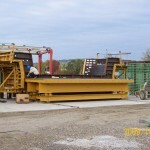 The edge beams are fully post-tensioned, using a mix of 19-strand and 12-strand tendons. 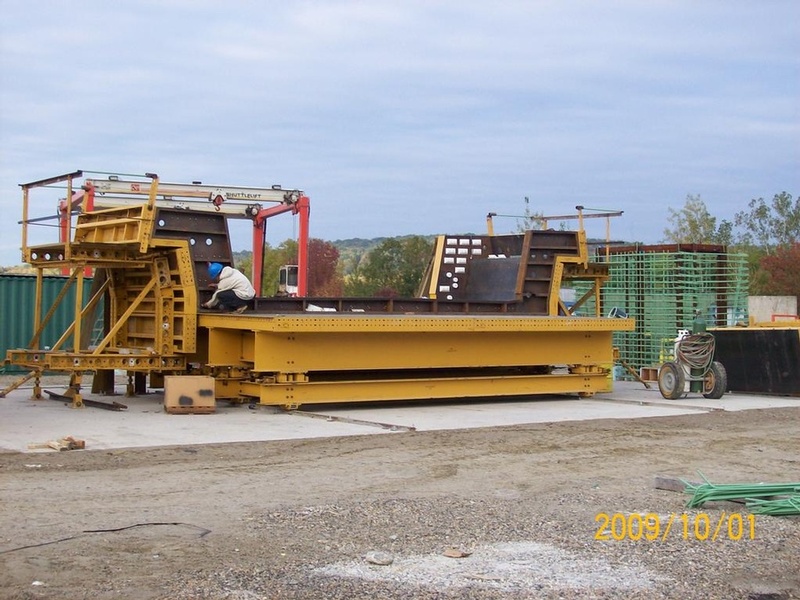 Additional longitudinal tendons are provided in the deck slab using flat, 4-strand tendons. 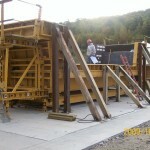 Transversely, the structure is fully post-tensioned using flat 4-strand tendons. 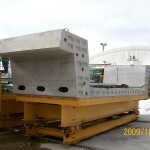 The channel cross-section is a precast-concrete superstructure system that uses post-tensioned segmental construction. 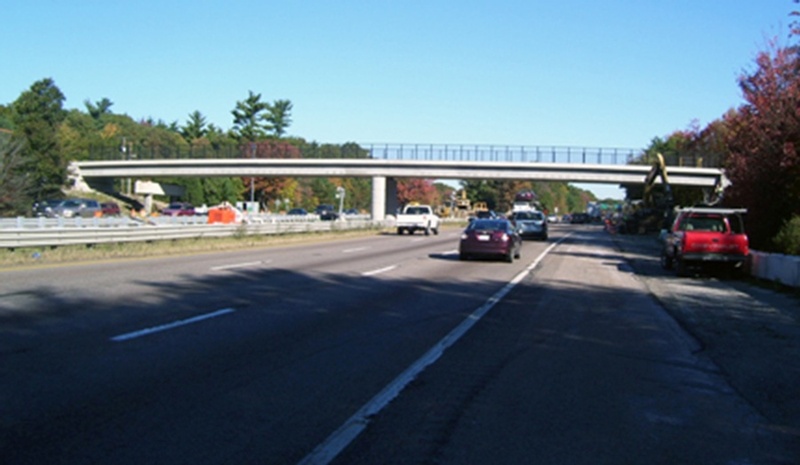 This bridge type is used when a replacement structure requires an increase in the vertical under-clearance, as is the case for the DCR Access Road over the Route 24 Bridge. 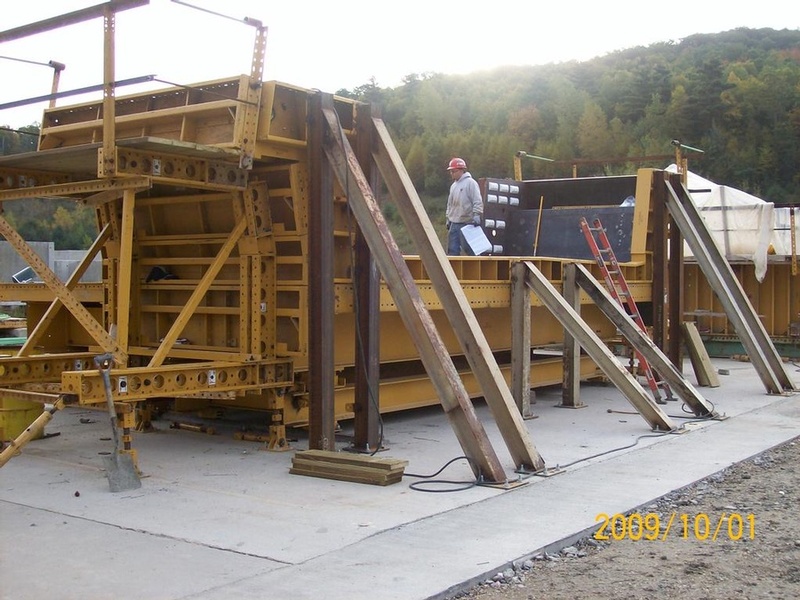 The channel cross-section does not use the typical bridge configuration of a deck supported underneath by a transverse or longitudinal support system. 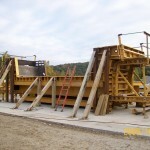 It features two edge beams that function as the main load-carrying elements with a deck supported between them, completely eliminating the need for a below-deck support system. 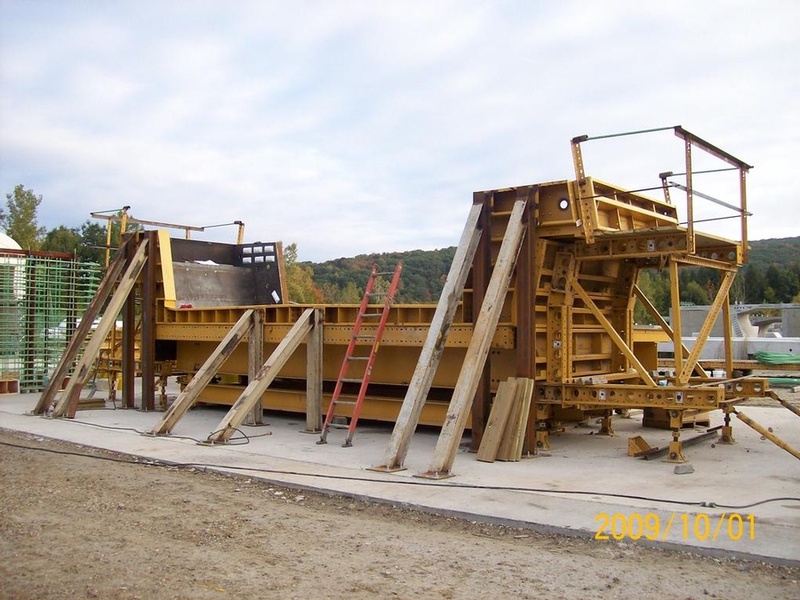 This structure type provides numerous advantages including an increased vertical under-clearance, accelerated construction time, and a lower life-cycle cost. 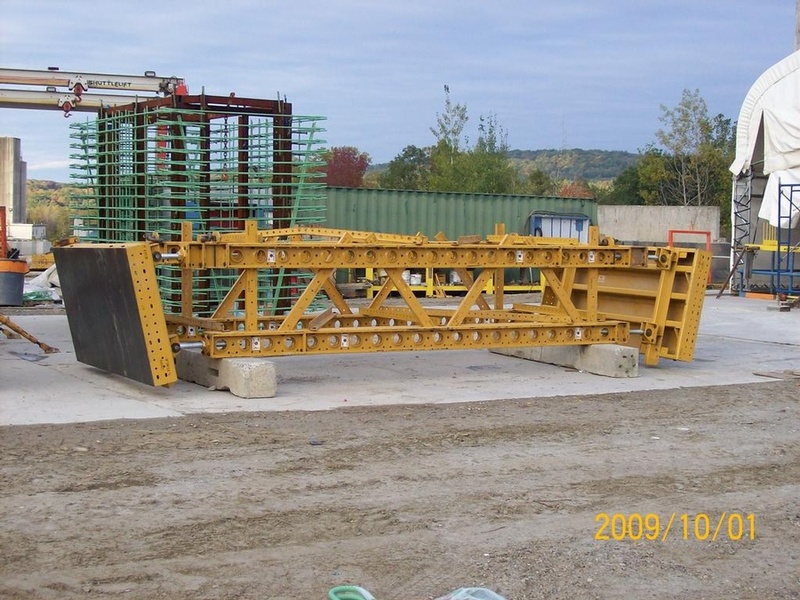 Once removed from the old bridge, the steel beams will be recycled and used as temporary supports in erecting the segments for the new bridge.